Axl Rose and AC/DC; Penn and Teller; David Walliams and Simon Cowell; Holmes and Watson… strange pairings are nothing new. And now the world of whisk(e)y is getting in on the double act, with its own pair of unlikely lads. And the new partnership is set to bring whisky fans a number of treats and special events throughout the rest of 2019. Dominic Roskrow and John Burke are teaming up for a series of joint enterprises planned for the rest of the year. Dominic is an established whisky writer, the author of 15 whisky books and an experienced newspaper and magazine journalist. He is the former Editor of Whisky Magazine, Whiskeria, and Beers of the World. John is the owner of The Cask Magazine and founder of The Dublin Whiskey Festival which will now transform into The Irish Whiskey Festival. 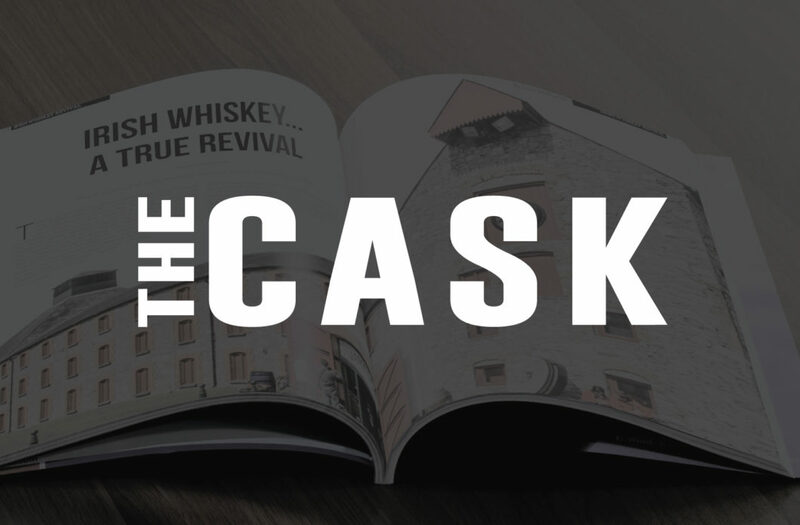 A new issue of The Cask Magazine will be published in print and online in March and in an extension of The Cask Magazine’s digital presence the team will also be working on a new video channel to boost its online offering. The videos will feature interviews with industry personnel, visits to distilleries, tastings, and a lot of fun features as well as educational content. The plan is to evolve the magazine, based in Ireland but targeted internationally, and to build on the 750,000 global hits the first edition received on line. The team has already announced a special day long event in Dublin on World Whisky Day, May 18, and also The Irish Whiskey Festival which will be held in cities across Ireland in September. The latter will include events in Dublin, Galway, Cork, Kilkenny and Belfast. And there are also plans for a unique live event in April, and for new world whisk(e)y awards later in the year. Dominic will be Managing Editor for the Cask Project, with John and the existing Cask Magazine team taking responsibility for different parts of the new ventures.